﻿ E-invitation received from Adani Port and Special Economic Zone Ltd. 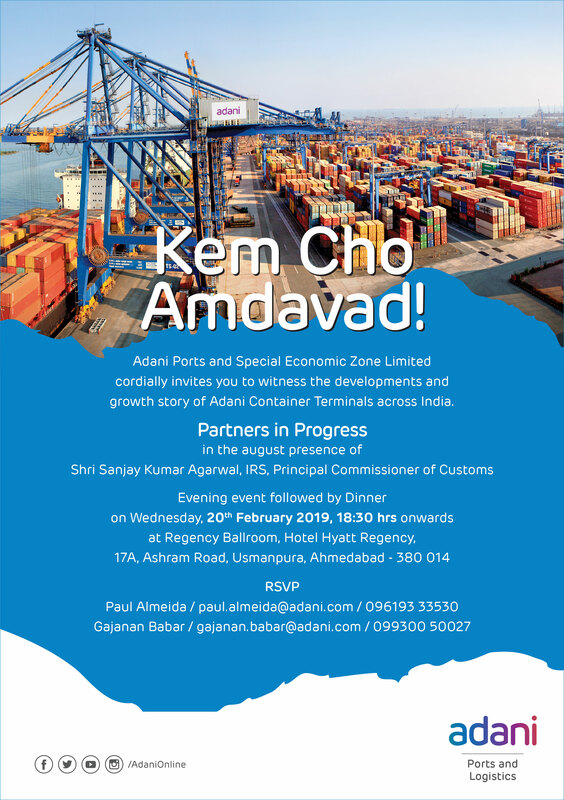 Your association SIMA is forwarding herewith an E-invitation received from Adani Port and Special Economic Zone Ltd. By the said E-invitation the Adani Port and Special Economic Zone Ltd have invited us to witness the developments and growth story of Adani Containers across India “Partners in Progress”. 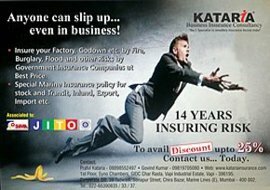 The evening event followed by dinner is scheduled on Wednesday 20th February 2019 at Regency Ballroom at Hotel Hyatt Regency, Usmanpur, Ahmedabad. The E-invitation is enclosed herewith.